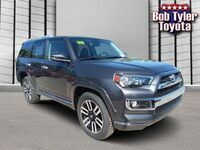 Offering the power and capability of a pickup in the versatile form of an SUV, the 2019 Toyota 4Runner is a practical vehicle for a variety of different Pensacola drivers. 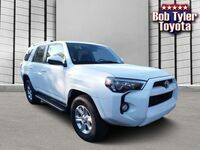 If you’re interested in this impressive new vehicle, be sure to reach out to us here at Bob Tyler Toyota! 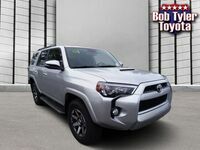 The new 2019 Toyota 4Runner is powered by a 4.0-liter V6 DOHC engine that’s capable of 270 horsepower and 278 lb-ft of torque while also achieving an affordable fuel economy rating of 17 city / 20 highway / 18 combined MPG. 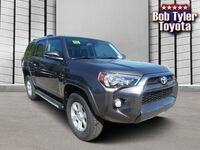 Built for families and weekend warriors alike, Toyota 4Runner offers the most space per passenger of all of Toyota’s SUVs. 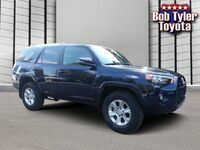 It offers a standard 5-passenger seating capacity, however it also offers an available 3-row configuration with a 7-passenger capacity. 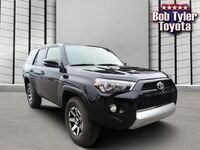 It also offers 47.2 ft3 of standard cargo space, and a max of 89.7 ft3>. 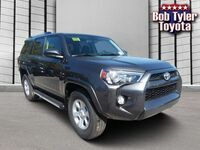 Great for working around the house, family vacations, camping trips, etc., the powerful capability of the 2019 4Runner makes it a popular choice among Florida drivers. 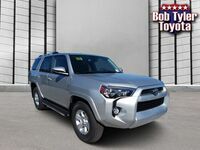 With its impressive engine, the 4Runner is able to tow up 5,000 lbs. standard. 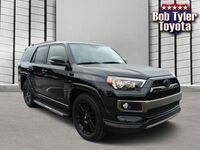 If you’re interested in getting behind the wheel of the new 2019 Toyota 4Runner, then contact us today at Bob Tyler Toyota! 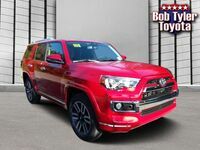 Simply give us a call, fill out the form above, or visit our location on Pensacola Blvd. We look forward to hearing from you!